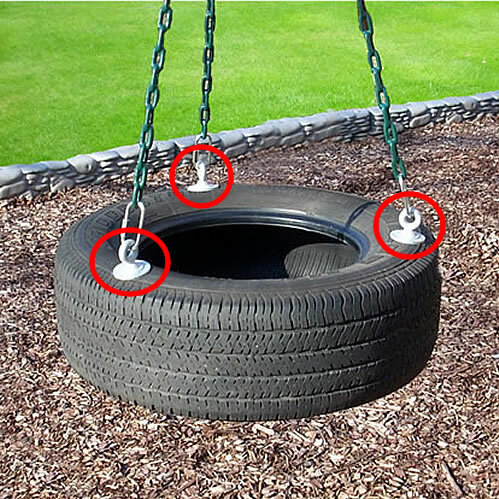 Hang your playground swings the simple way, with our “EZ” swing hanger with built-in shackle. 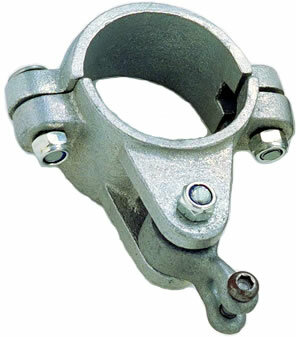 This robust swing hanger has a clamp design. It is made from iron, and its tensile strength is 5,000 lbs. So, it’s the perfect choice for playground swingset structures and gives you peace of mind that the swing users are protected by commercial-grade hardware that’s built to last. We call this swing hanger the “EZ-Hang” because it’s so easy to use! 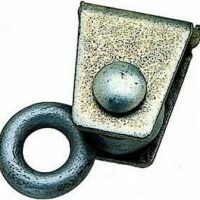 The pendulum has a built-in clevis, which the top link of the swing chain fits into. 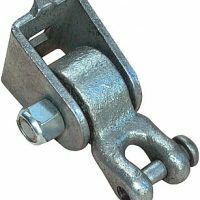 The Clevis opens and closes easily, to fit the chain. (Clevis requires Allen wrench.) 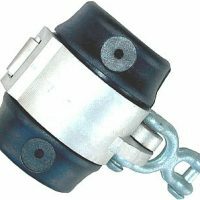 This means that you don’t have to mess around with connectors pieces at the top of the chains, like S-hooks or H-Shackles. 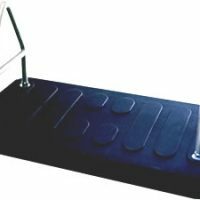 This design simplifies your life and saves you money! The pendulum has a sintered bronze bushing. 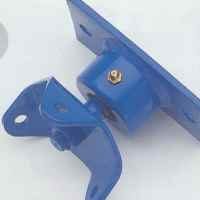 If you ever need to replace the pendulum, they can be bought separately, so you don’t have to replace the whole clamp.